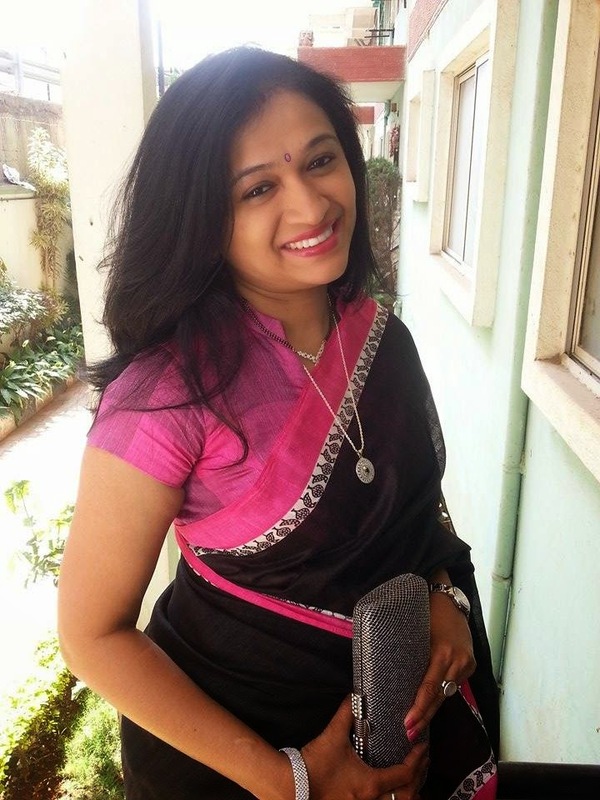 GUEST POST: Sahana is a Senior Project Manager with a reputed Software firm in Bangalore. She is a self confessed Bollywood freak. Loves music..considers dancing her passion! 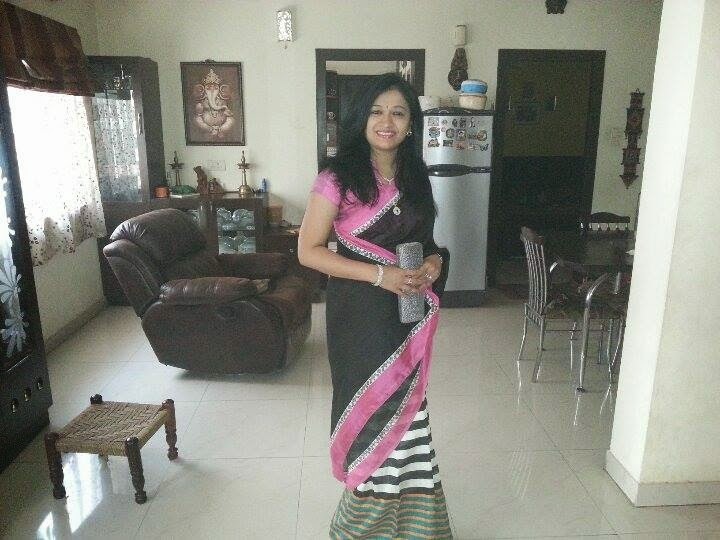 She is an avid reader and enjoys blogging about the naughty tales of her little Rockstar son Rey!! Fashion to her is comfort and she is absolutely particular about how she dresses at all times.. Her mantra in life is "If you are not dressed right, better don't step out"
Saree is so me!! 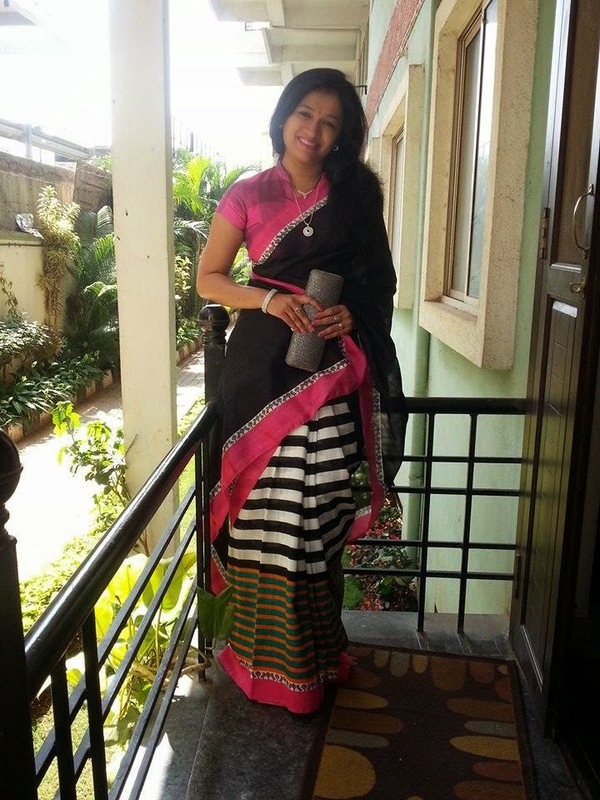 I am a complete Indian Saree person and sometimes wish, I were in a profession where I could wear more sarees and do justice to my collection. 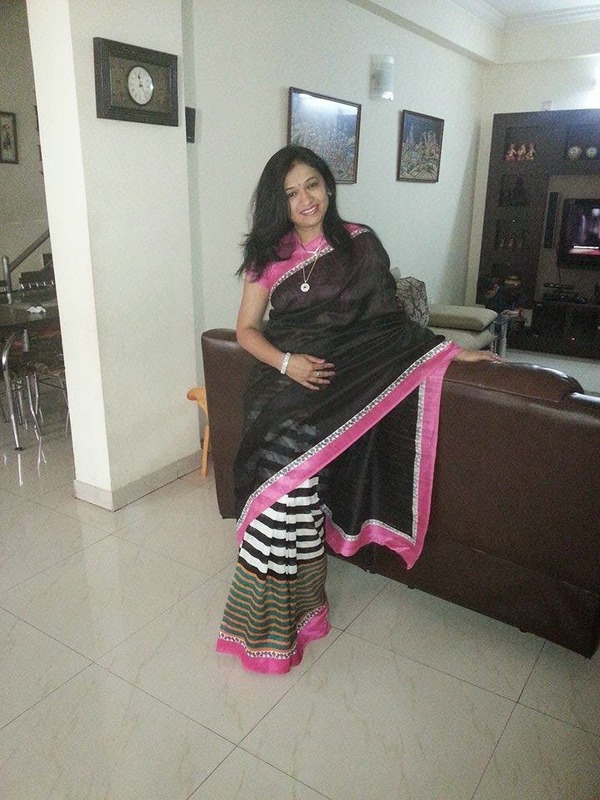 Though I have a fetish of picking up sarees of every variety from every place that I visit, it's the casual comfort sarees that make me feel myself. The recents days have seen me splurging on these jute silk and linen silk sarees and I have found in myself a fan for these textures. I picked this Indian Saree at a small Saree shop in the crowded streets of Bangalore while roaming around for my Ganesha festival purchases. Me being a colours person really loved how this Saree had bunch of them with a highlight on my favorite black and pink shades on the foreground.This Indian Saree being a light, easy to wear kinds makes it more lovable! I designed a high neck collared blouse with potli buttons which adds a classy feel. I recently wore this for a close family function on a Sunday at a reputed five star plush place. I teamed it up with a diamond bangle, a simple Swarovski pendant and diamond studs. The beautiful grey silver clutch gave the final perfect finish to the ensemble. I should say the cool and casual look that I managed to put together grabbed quite a few appreciative glances at the family do. I am glad it made a cool look for a calm Sunday lunch. Sooo sweeeeet, Ananya! 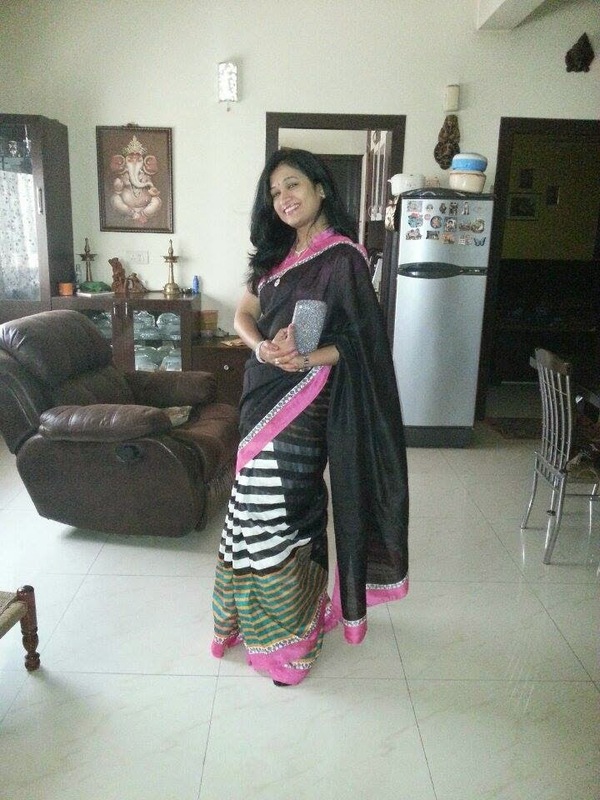 you and the saree. such a pretty saree! you look great! You have an amazing blog ,thank you for visiting my blog I'm following you on GFC you welcome to follow back.Xoxo Ruth. This sari is amazing! Pink black and white are a stunning collection, and it's worn by a beautiful lady too! Sari is amazing, you are looking very beautiful. good IMO for PC is the most recent arising video https://imoappz.com which you need to download Imo for PC best.